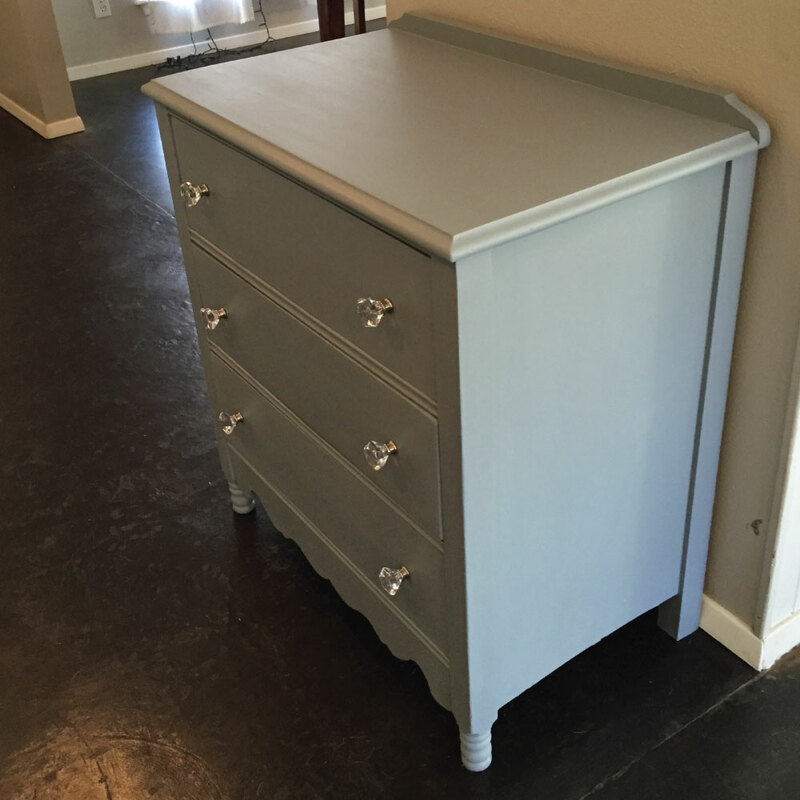 This project was done for a friend’s daughter. 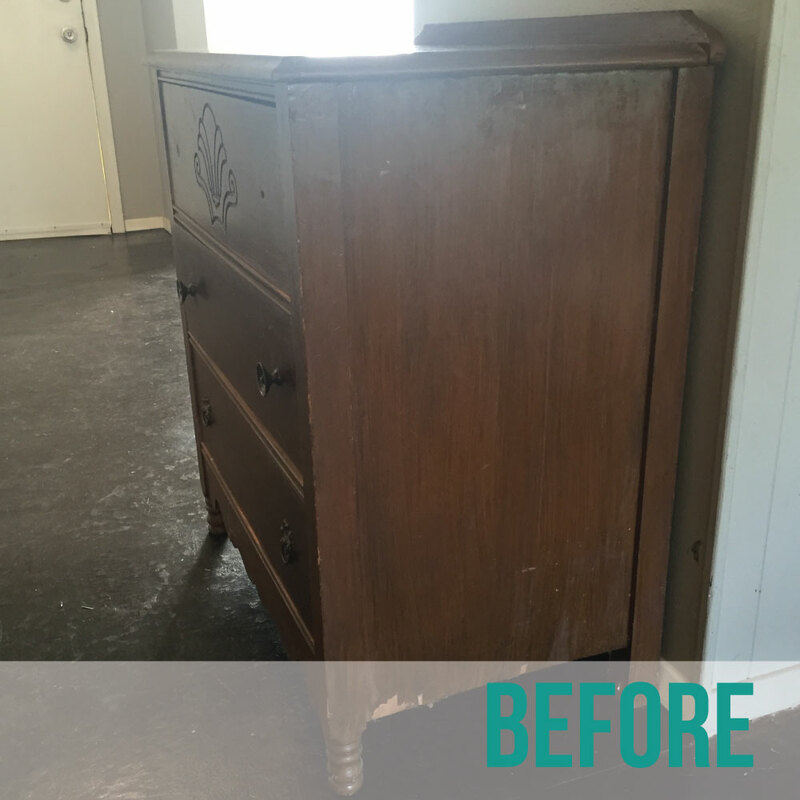 The dresser was passed down by her family, but it was living in the garage, taking up space and gathering dust. 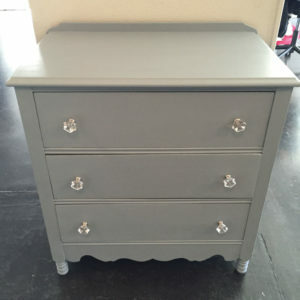 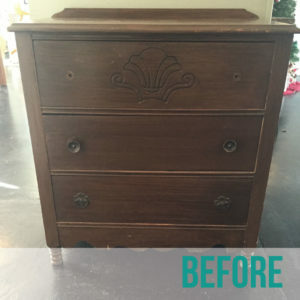 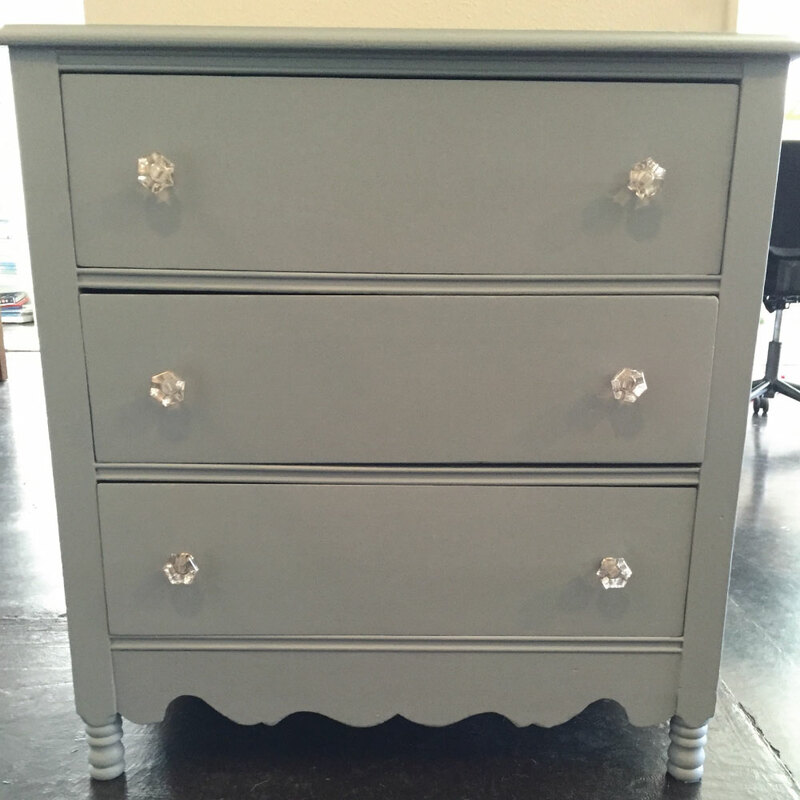 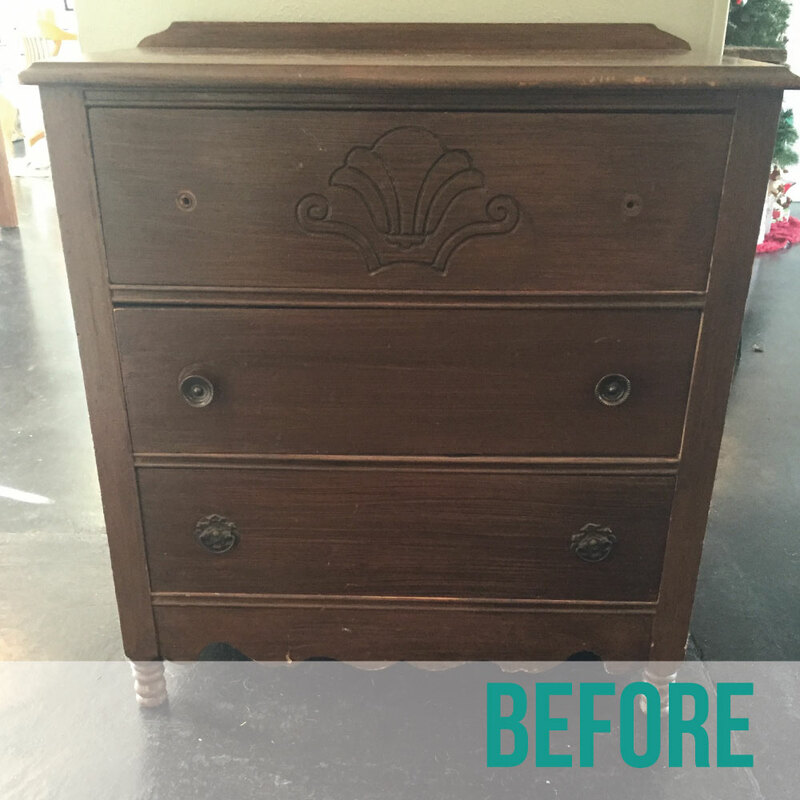 In order to update the dresser for a young teen’s room, I filled the dated looking shell design on the top drawer, painted it a neutral gray and added charming pulls.